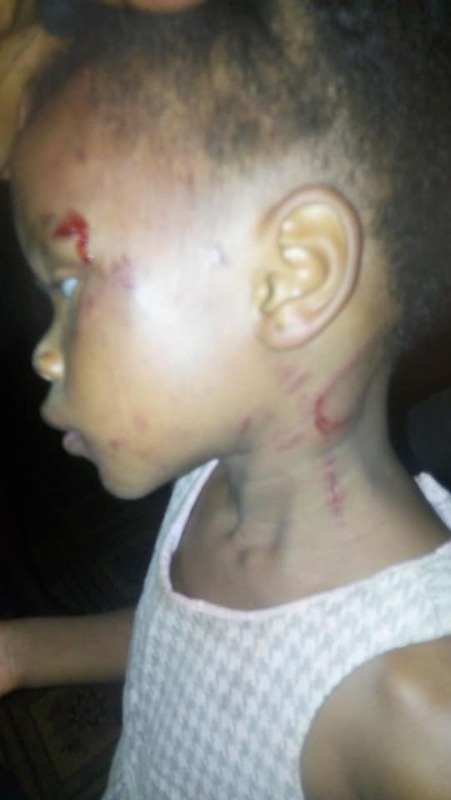 A Facebook user, Tope Boyede has taken to same to tell on a neighbour of his whom he claims is fond of physically violating her 2+ year old daughter. Unable to look the other way any longer, Boyede shared touching photos of the abused child and narrated her mother’s unfounded reason for violating her. According to his narrative, the unnamed little girl was brutalized by her mother because at the age of 2+, she could not count 1 to 200.